Your G for Good Moment: Wiwa Community Visit & Lunch, Gotsezhi Village. Chingaza National Park hike (Bogotá). Camino Real (Barichara). Suarez Canyon whitewater rafting. Medellín orientation walk. 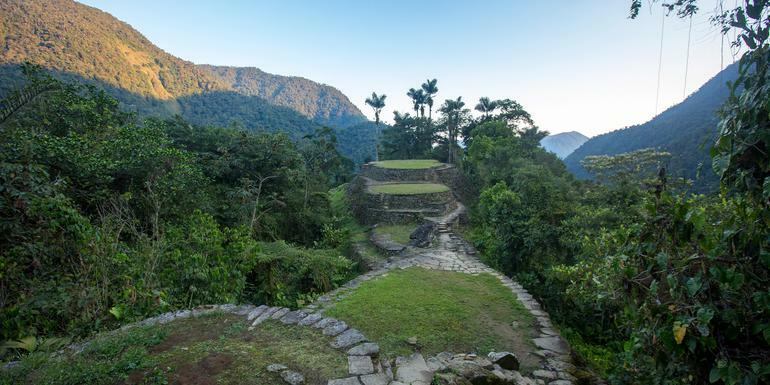 Trek to the Lost City with an Indigenous guide (5 days). Guided tour of the Lost City. Internal flights. All transport between destinations and to/from included activities.